Coffin” is a great example of multistyle piece of art. Simultaneously, you can find ordinary ambient pieces and powerful rock tracks with march-like features. Also, different moods are evident here – from thoughtful and not-of-this-world layered settings to prankish, almost heroic melodies. 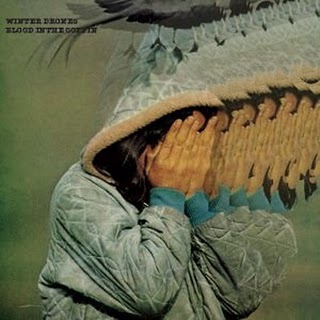 Winter Drones’ album represents a real musical experiment, without any retreats and withdrawals. Don’t be afraid of the album’s title, the whole atmosphere is rather life-asserting. When I read the title before the first listening, I expected something sullen and dark, but later I change my mind, and “Blood In The Coffin” became one of my favourite albums. So, make your solemn march with Winter Drones! This entry was posted in Uncategorized and tagged ambient, experimental, Weird Forest, Winter Drones. Bookmark the permalink.